Logan and I were visiting our amazing family this past weekend. As always, we were greeted with loads of love and amazing food. This weekend was exceptionally good. Mr. Edwards made homemade turkey and vegetable spaghetti sauce with meatballs. Mmmm…my mouth is watering all over again. Then, following this excellent meal, was the icing on the cake. 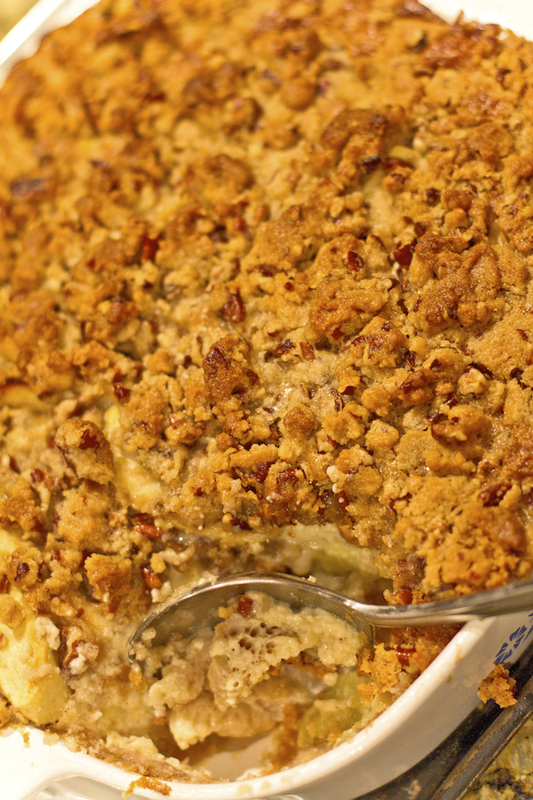 Mrs. Edwards made this amazing Apple Crisp, served warm with ice cold vanilla ice cream. She’s been kind enough to share it with us. Grease a 10″ x 11 1/2″ ceramic pie dish. Spread the apples down in the dish. Beat the remaining filling ingredients until smooth (15 sec in blender on high or 1 minute with hand beater). Pour this mixture over apples. 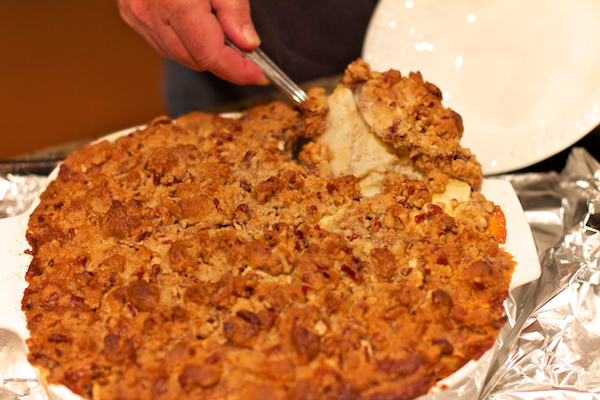 Combine the ingredients for the Streusel and sprinkle the Streusel evenly on top. Bake until knife inserted in center comes clean (about 55-60 min). Oh yes. You’ll core the apples, too. Happy Baking!